For those who do not yet know Rhodes, know that this is a Greek island, the largest of the Dodecanese. It is in recent years, the tourist destination that attracts the most people in Greece and because of its climate, its youthful, relaxed atmosphere and beautiful beaches. 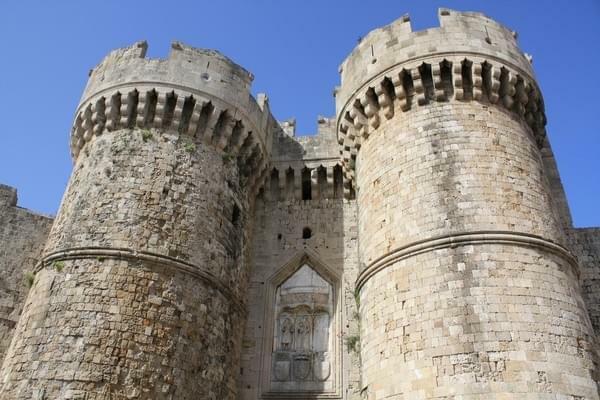 So if you are looking for a destination for your next vacation, why not choose Rhodes? In order to fully enjoy your stay in Rhodes, prefer the summer, so you can enjoy its beaches, classified among the most beautiful of the Aegean. Afandou Beach: it is located in the village of the same name 22 kilometers the capital of Rhodes. Certainly it is flooded with people in high season, but this does not detract from its charm, it was this massive crowd of swimmers who made it famous. Close to the beach is a golf course, hotels, numerous restaurants and souvenir shops. Tsambika beach: ideal for those who prefer wild beaches. Here you can swim safely, even in high season it does not attract the crowds and that's good. After a day basking in the sun before returning to the hotel, go for a walk to the church of the Virgin Kyra Tsambika located near the beach, the view is simply breathtaking. Faliraki beach: it is located in the heart of one of the largest resorts on the island, the Faliraki resort. So you can imagine all the beautiful people there. Not easy to find a corner to put towels so we went there a little late. Even if you do not like them too crowded places, go there just for the atmosphere and for pleasure. Kallithea beach in Rhodes is beautifully dotted with palm trees giving it a wild appearance. If you plan to get there, take a little trip to the thermal baths that reflect the ancient civilizations that inhabited the island. The beach of Agathi: it is less than 40 kilometers from the capital. This proximity did not spoil his wildness him. By going there, be sure to make a small jump at Castle Feraklos located not far away.